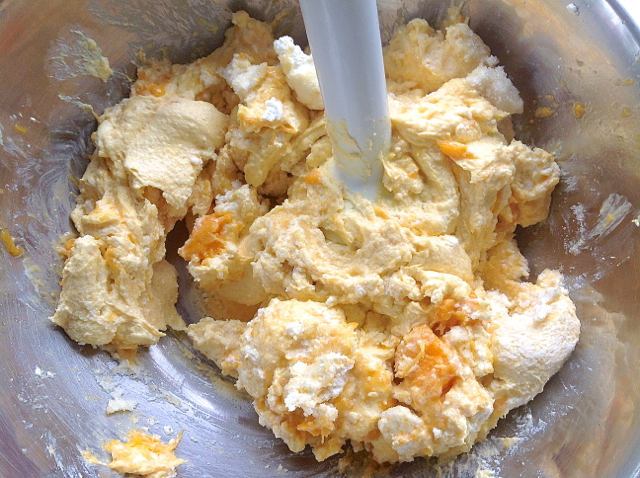 This recipe is using a thick buttermilk cheese that you get when you strain coagulated buttermilk through a cheesecloth. 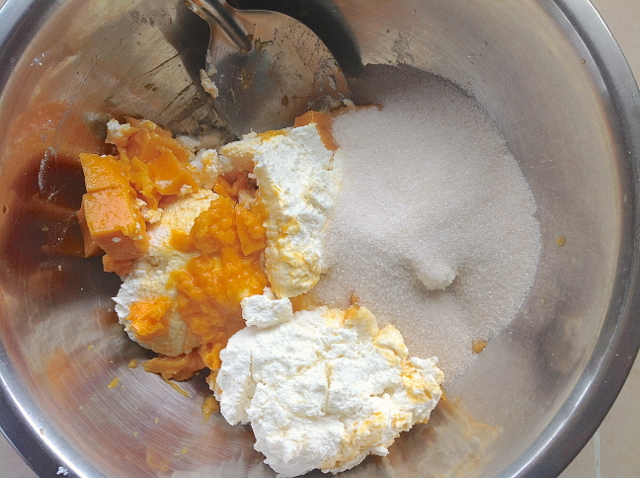 The butter was already taken out making this sweet dish a fat free treat! 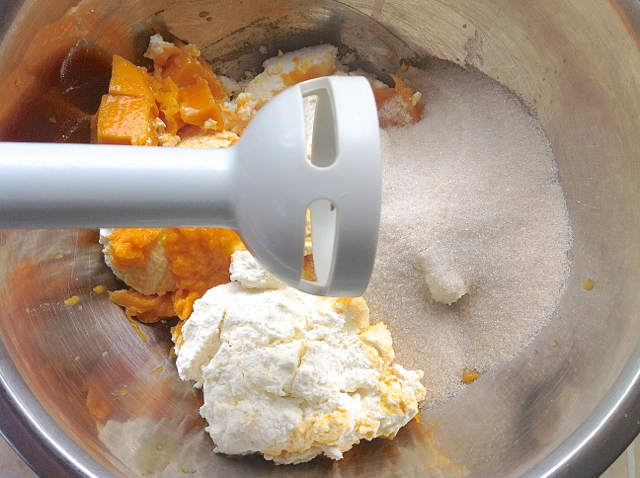 Use a hand blender for mixing. 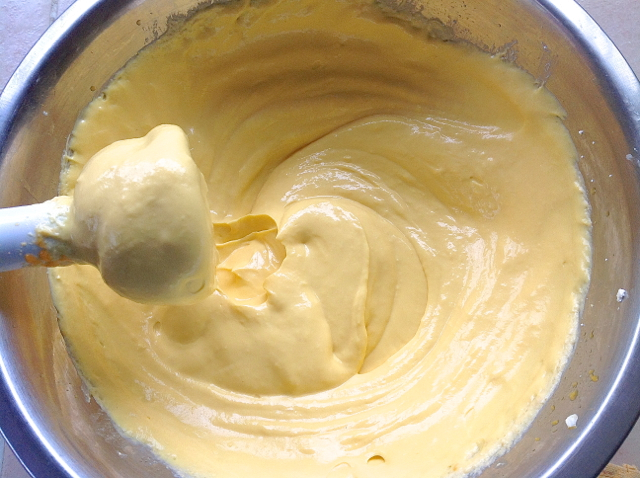 Blend for about 4 minutes. 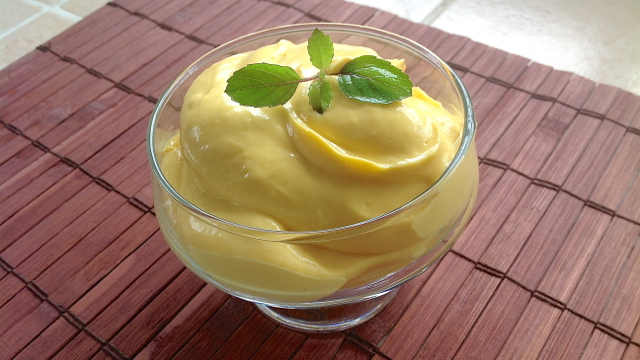 Now you have a thick and creamy mango pudding! Last step is to offer to Kṛṣṇa with love and devotion!